Get to know and experiment with one of the symbols of Valencia: the orange. From the earth to the table. Visit with an official guide during the “Orange Tour”. 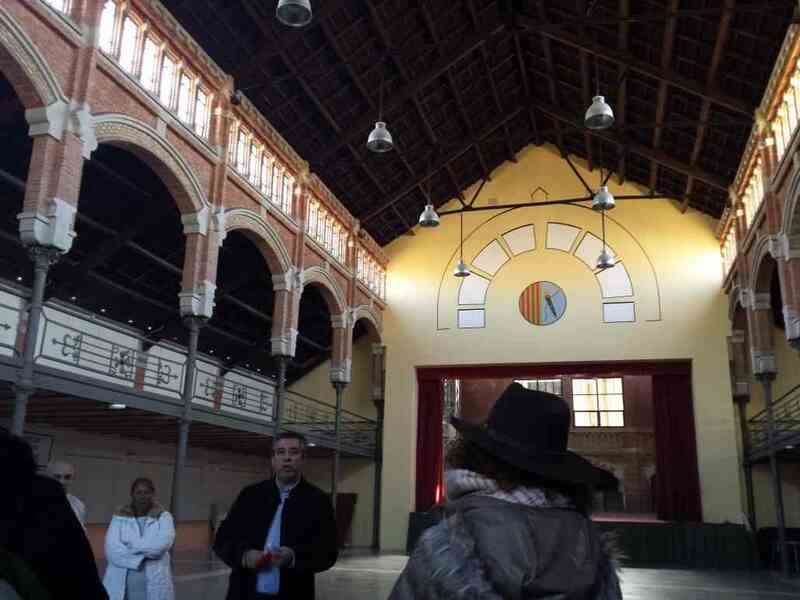 Visit to the Ribera Warehouse. 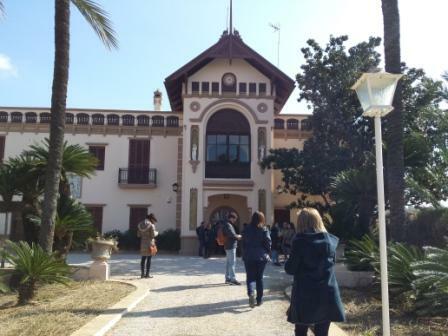 Visit to the Palace of the Marquis of Montortal. Guided visit to the Orange Orchard. Advice and help at all times to make the cocktail of Agua de Valencia. Collection of oranges in the orchard. The rest of the ingredients and materials necessary for the preparation of the Agua de Valencia Cocktail. Get to know one of the symbols that most identify Valencia: the orange. We will do it through the Orange Tour and a workshop of Agua de Valencia. There’s nothing better than getting in the orange groves and collecting the rich cultivated oranges yourself. We will start, as with other experiences in Valencia, with the more theoretical part. In order to get to know the history of the orange we are going to move to the place known as “the cradle of the orange”, in the town of Carcaixent. We will travel back in time to find out the origin of the Valencian orange as we know it today. 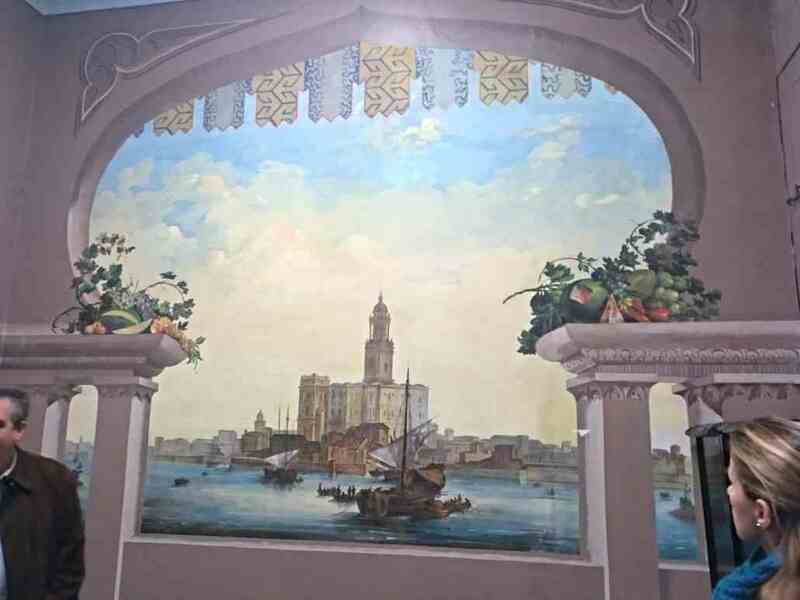 On the one hand it is necessary to emphasize that the origin of the culture of the orange is remote to Arab times with the orange called “orange of Seville”. But that orange was far from the current one, coming from Asia. It was a bitter orange. The cultivation of oranges was more related to the decoration of patios and the perfume that the orange blossom gave off. Although there are documents that state that orange was already known in our land since the fifth century from Africa. Sweet orange reached southern Spain in the 16th century. But its cultivation is not related to large areas of cultivation for export and agricultural exploitation. However, in the seventeenth and eighteenth centuries some documents testify to large peninsular exports of orange from Sagunto and Xàtiva. But we have to move to the Carcaixent from the 18th century to reach the true origin of orange exports in the Valencian Community. We travel until 1781, with three illustrious men: the priest Vicente Monzó Vidal together with Jacinto Bordí (apothecary) and Carlos Maseres (notary and scribe). All three introduced the first cultivation of orange trees for purely commercial purposes. They adapted the dry land in the area by drilling wells and also allowing irrigation through waterwheels or irrigation ponds. Since then and thanks to the improvement of transport networks and marketing routes the export of oranges was steadily increasing. The cultivation of oranges and their export reached its peak in the nineteenth century. 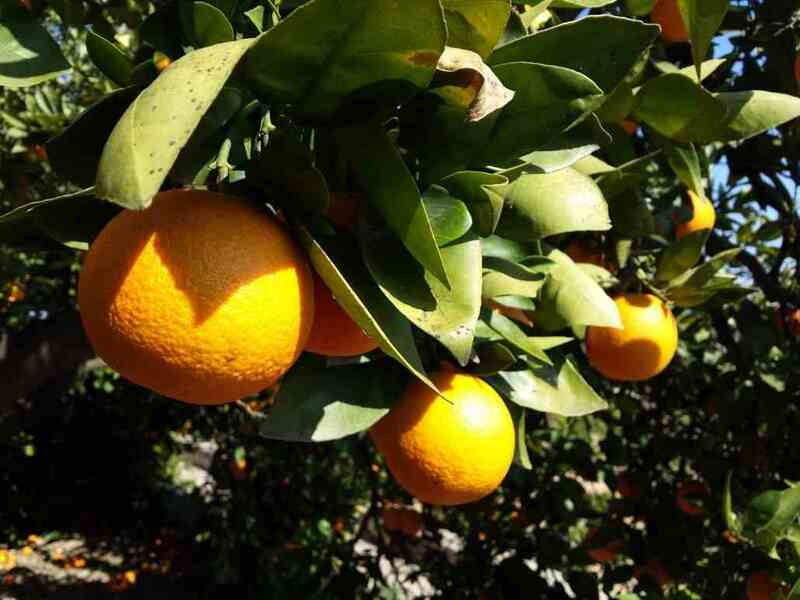 In addition, the cultivation of oranges spread throughout the Valencian territory, and the fall in the price of vines at the end of the 19th century also contributed to this. Despite some ups and downs after the two World Wars and the Civil War we are one of the main exporters of quality oranges from all over the world. But new challenges arise due to price competition, which means that national consumption is not the main one. This warehouse dates back to the 19th century. Let’s remember that this century is a high point for the export of oranges. It is located next to the railway station that dates from the same period. 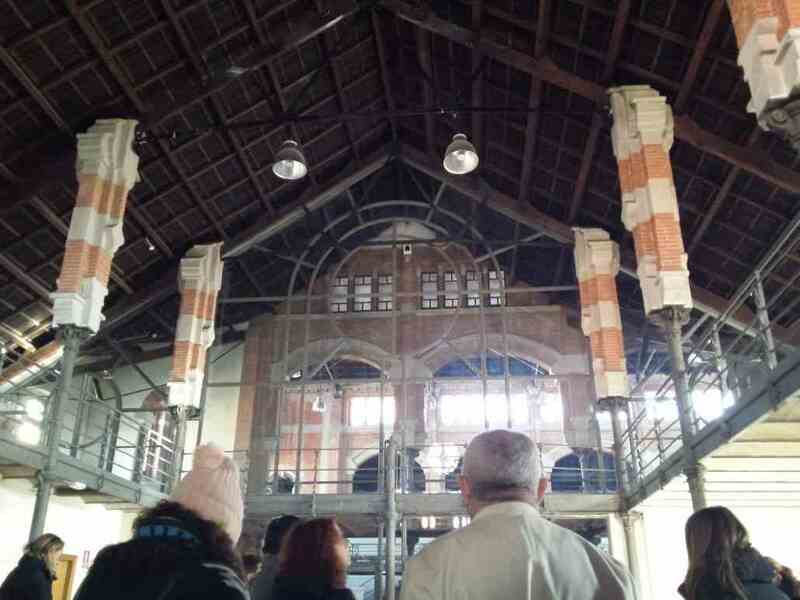 The Ribera Warehouse is a modernist building symbolising industrial architecture linked to orange production. Built mainly of brick, iron and glass. The openings of the facades and along the upper part of the central body allow the passage of much light into the interior. A visit to this warehouse gives us an idea of how work was done at that time. Also of the importance that the cultivation of the orange had in the local economy. This palace is also known as the Palace of the Marqueseta, referring to Mª Antonia Talens Mezquita (daughter of the Marqués de la Calzada). Mª Antonia is considered an authentic heroine in the population due to the events that took place before the French troops during the War of Independence. The construction of the palace is due to the thirsty wealth of the area.. 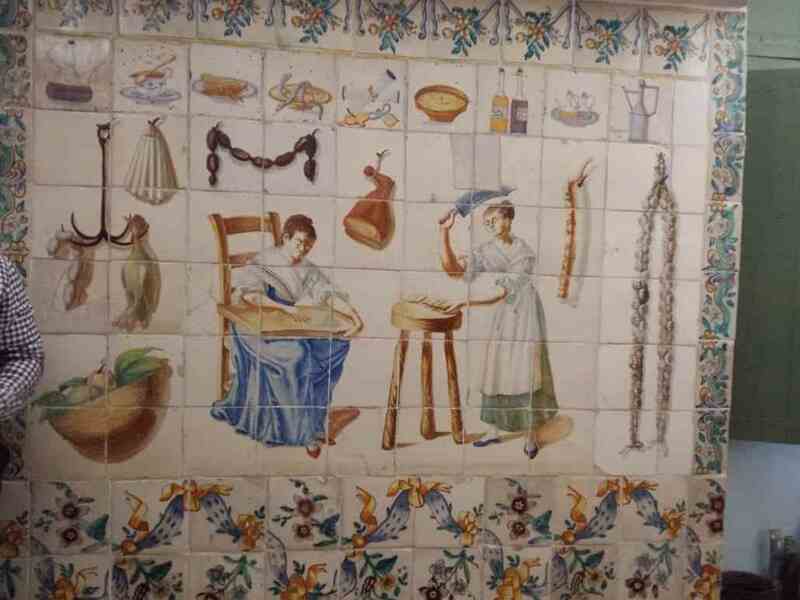 Remember that Valencia lived its golden century in the fifteenth thanks to the production of silk (you can learn more through our Silk Route with Silk Workshop in Valencia). Carcaixent underwent great economic growth in the 16th century thanks to the cultivation of mulberry, linked to silk. 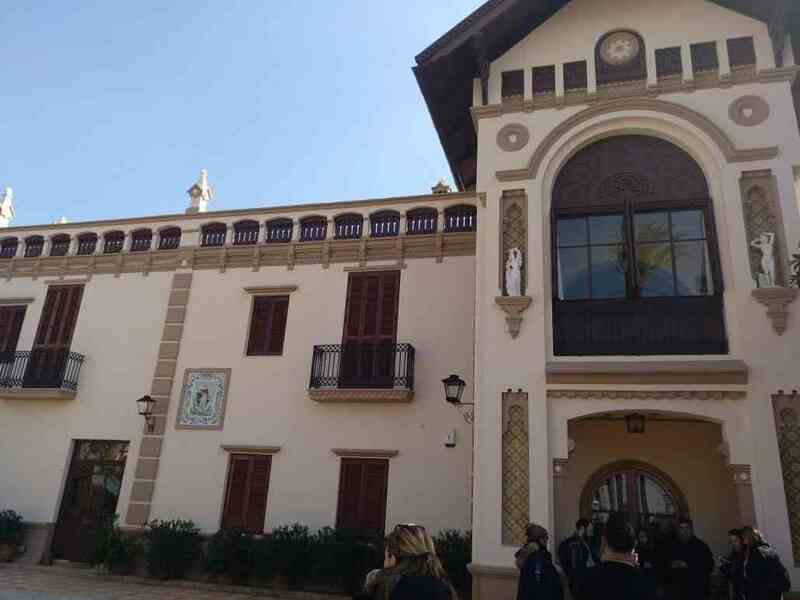 In the 18th century it would be the main centre of silkin the whole region of the Rivera del Júcar. Of this 18th century neoclassical palace, the kitchen on the first floor is noteworthy. 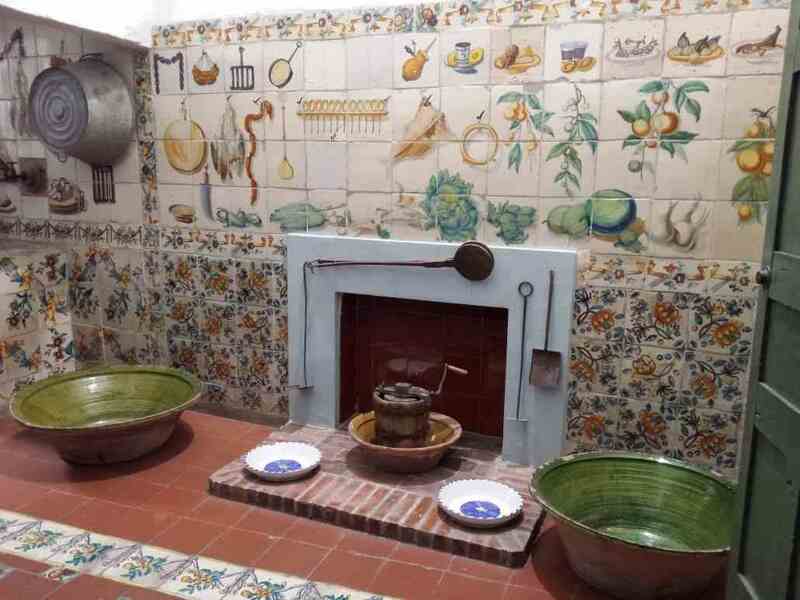 One of the last notable examples of Valencian neoclassical cuisine. 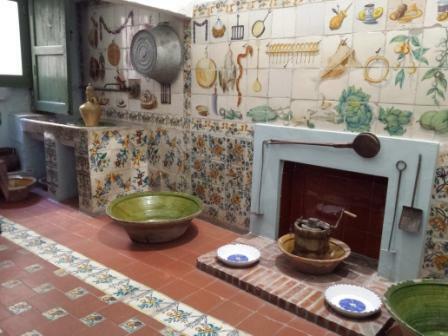 Its ceramic panels provide a lot of information about the way of life of the time through costrumbrist scenes. 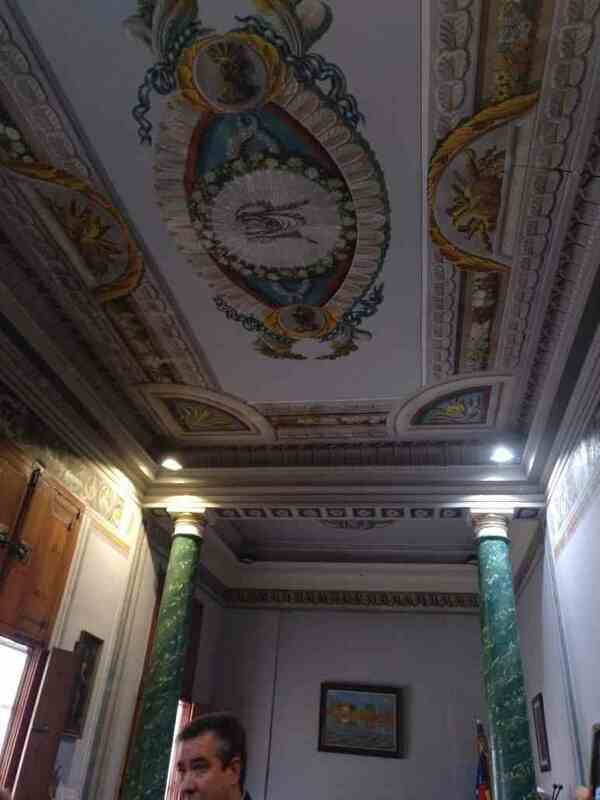 Likewise, in the different rooms of the palace we find pictorial works on walls and ceilings. Once we have walked through the town of Carcaixent, we leave the centre to go into the orchard where the best oranges are grown. 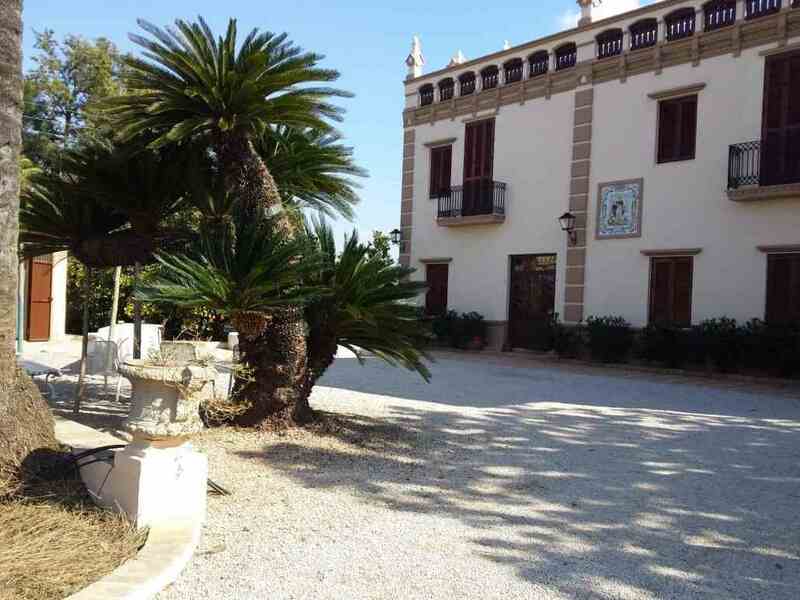 Our destination is very close to Carcaixent, just 10 minutes by car in a pleasant walk through the orchard area. A spectacular entrance leads directly to the main building of this orchard: the stately palace where the owner used to stay. 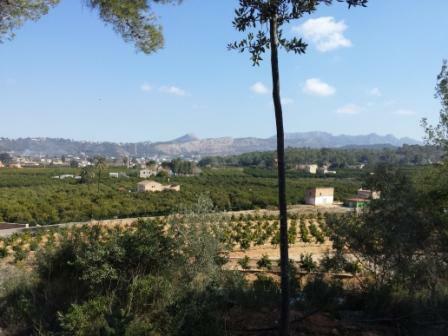 Around the house are distributed hectares and hectares of cultivation dedicated to oranges, as could not be otherwise. 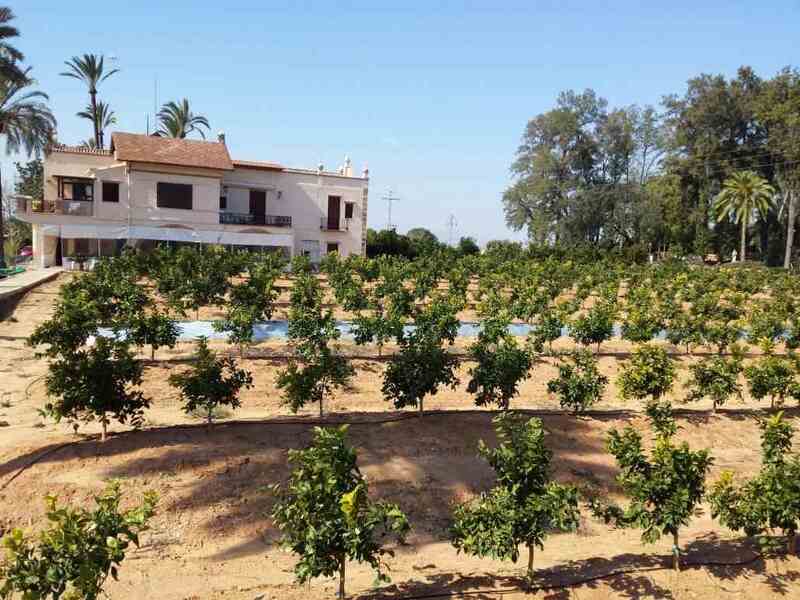 This typical Valencian orchard dates from the 19th century. During the visit you will learn about the origin and history of this orchard, linked to the origin of the commercial export of oranges. Walking through its oranges, the guide explains how the orchard has adapted to the ups and downs of time. 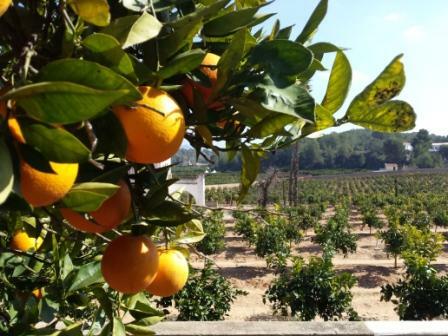 This orchard, dedicated for some 150 years to the cultivation of oranges, is the best place to carry out this Orange Tour and Water Workshop of Valencia. 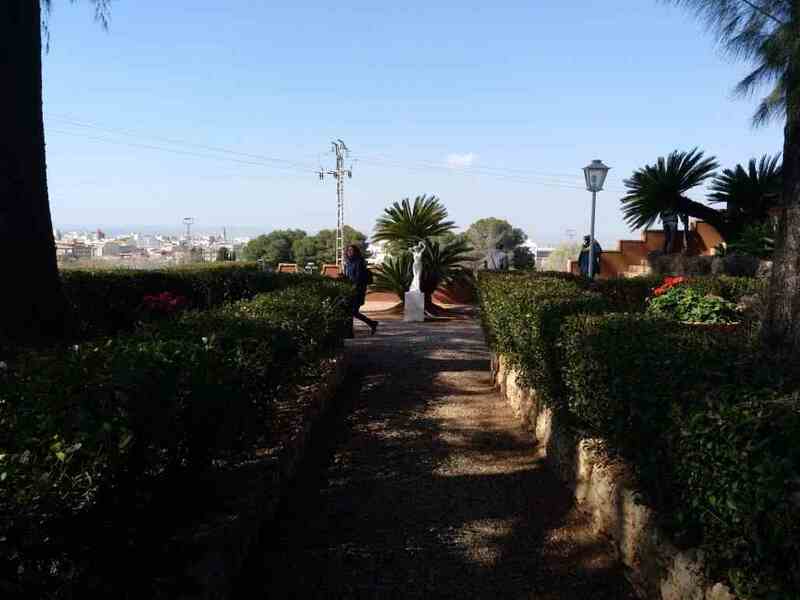 You can also enjoy a typical monumental orchard of the nineteenth century. The views from this orchard towards the region are spectacular. A mantle of cultivation and orchard extends before our eyes. 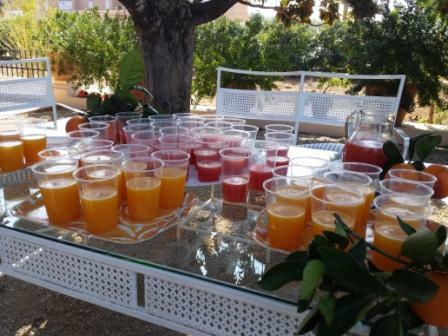 Once the complete tour of the orchard together with the guide has been carried out, the activity of the Agua de Valencia Workshop begins. ¿What is the Agua de Valencia? The Agua de Valencia is a cocktail that arose towards the end of the 50’s in a place in Valencia. Little by little it was extended until it became a popular drink in the Valencian night of the 70s. Today it is still a popular drink and characteristic of Valencia. This cocktail, the Agua de Valencia, consists of a mixture of the following ingredients: orange juice, cava or champagne, vodka and gin. You can also add sugar to sweeten it up. What does this Agua de Valencia Workshop consist of? It’s about learning how to make this Valencian cocktail. The main ingredient is, without a doubt, orange. And what better place than this orchard to manually collect the oranges that we are going to use to make the Agua de Valencia. We will go into the orange field to pick the best oranges. Once we have all the ingredients we proceed to make the mixture. First the freshly squeezed natural orange juice. Then we add the same amount of cava or champagne. We continue with the vodka and the gin, we will add half the quantity of juice and champagne of each one. To finish, and to the liking of each one, we can add sugar. Slowly mix the ingredients as we add them and let it cool. It is very important to taste the Agua de Valencia cocktail when it is very cold. With this Valencia Water Workshop you will learn how to make this cocktail so popular in Valencia. 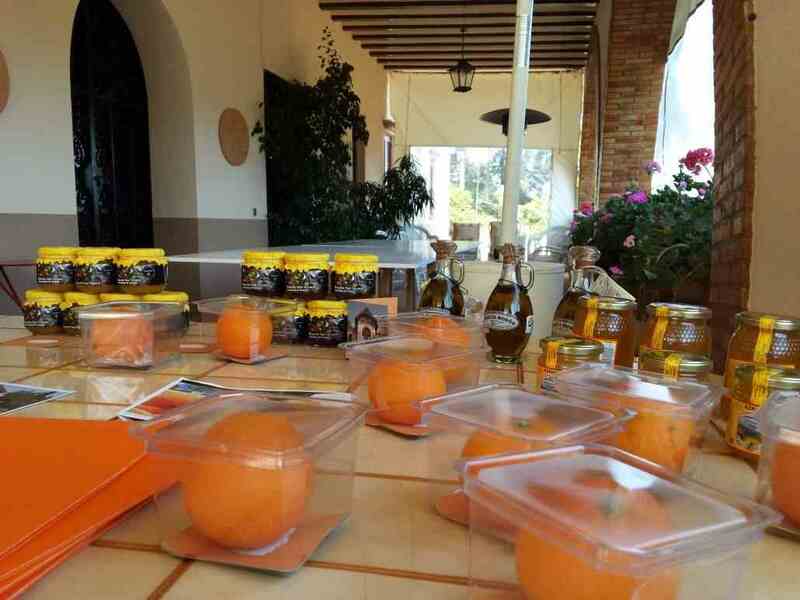 You will test all your senses, sight, touch, taste, smell and hearing in this Orange Tour and Workshop of Agua de Valencia that you will not forget.